Our Mission: RES-TEC thrives to unfold the power of evanescent fields. Learn more about the "power of evanescent fields" in our theory section. 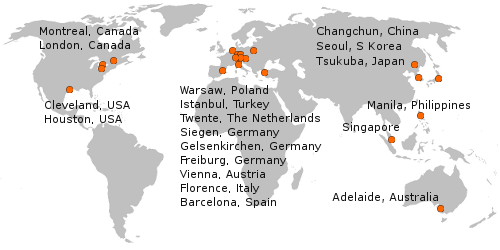 We are proud that our spectrometers can now be found more or less around the world. Some of our customer locations are marked on this map. Please inquire for a detailed list of references.